It is one of Nicky Henderson's most endearing traits that he has never been embarrassed about wearing his heart on his sleeve. We have seen tears of joy and tears of despair, and when his great pal My Tent Or Yours has been in action we have seen both. Happily, after almost four years without a win, during which seven seconds for My Tent Or Yours included three in the race that matters most and a painful defeat exactly 12 months earlier at the hands of old sparring partner The New One, this was very much an occasion to savour. After 'Tent' had reversed the placings with The New One in one of the finishes of the season so far Henderson's delight was there for all to see. While composing himself as best he could for interviews he wrapped his arms around the ten-year-old's neck and enjoyed a few moments of reflection upon a long and distinguished, albeit frequently frustrating, career at the top. He said: "It's not quite the same as in the Sprinter Sacre days, when he did his comeback, but it's not far off it. Wasn't he brave? "He's never been shy of a battle, but he's just been beaten by better horses in three Champion Hurdles, and in all sorts of other races. "There were three in line going to the last, but he was running and he was up for a battle. It was one of the great horseraces, but we had the 6lb advantage again because we hadn't won a race for donkeys' years. It's as simple as that." 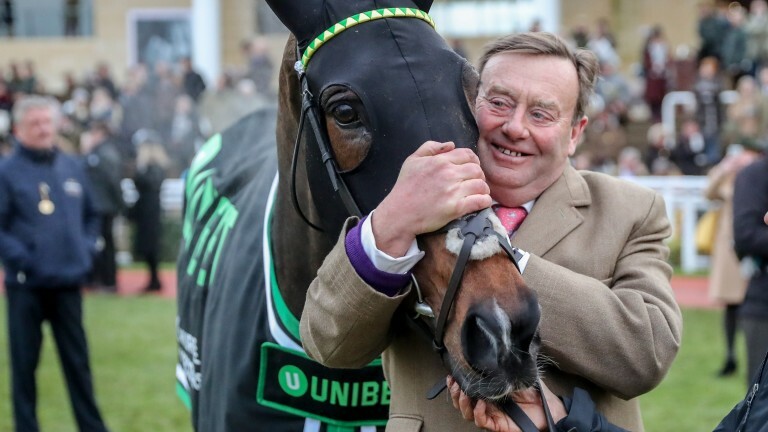 The most recent of three Champion Hurdle seconds was in March when 'Tent' was beaten by stable companion Buveur D'Air, also owned by JP McManus, a defeat Henderson still clearly felt guilty about. He said: "Why that meant so much, and why he deserved it, is because when Buveur D'Air beat him I felt like a complete fiend. 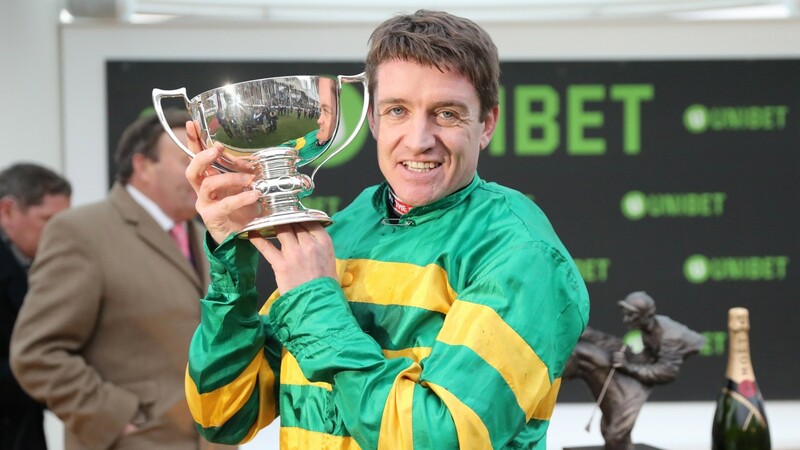 "Buveur D'Air is the young pretender and the good young horse, but beating your own horse who had already been second twice felt awful and JP and I both went straight to Tent after the race, not Buveur D'Air, just to say 'well done mate, you were amazing'. "He's special. We've had him since he was a three-year-old and when you live with one for seven years you become quite attached. And you know me." While the afternoon as a whole was somewhat subdued, the crowd raised themselves to salute a great favourite, and Barry Geraghty, winning on My Tent Or Yours for the first time after five seconds, clearly appreciated it. Geraghty said: "It was great coming in and hearing that fanfare - you only normally get that buzz at the festival. He had to dig deep. He threw everything at the last. He was all heart." 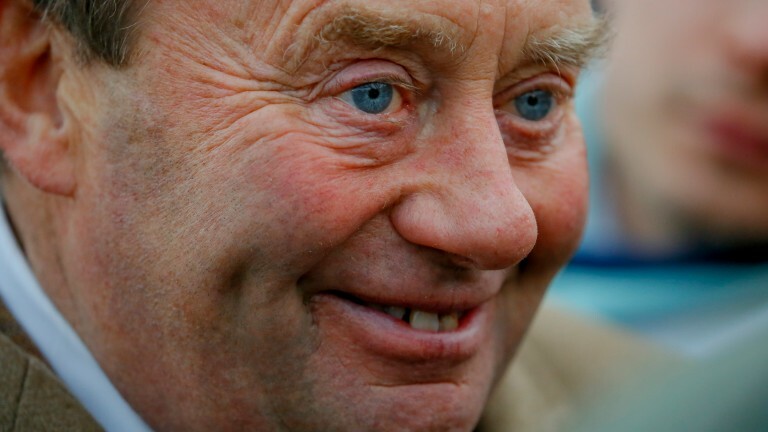 While Henderson was generous to Nigel Twiston-Davies in applauding the great job he has done with three-time International winner The New One, Twiston-Davies was not feeling remotely generous to those who put the jumps Pattern together and oversee the grading of races. He was seething when he said: "That's typical of British racing. Why is a race like that not a Grade 1? It's pathetic. We were giving My Tent Or Yours 6lb in a £130,000 race. It's a travesty. Why are there penalties in a race like that? "He has run a superb race, probably the best race of his life. He beat the favourite and battled all the way to the line. 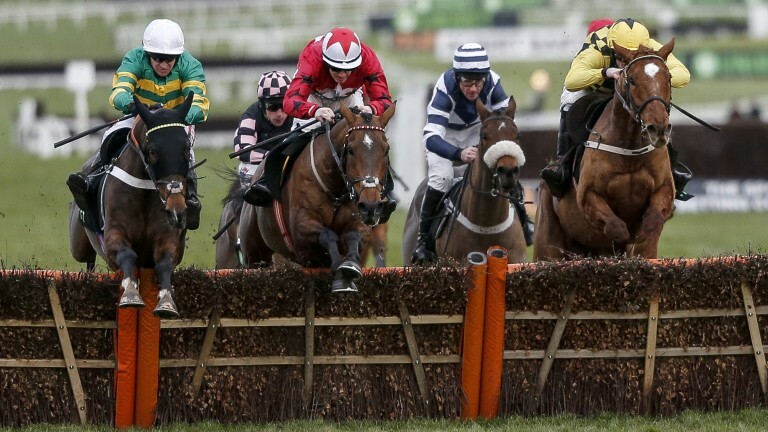 It will be Haydock next and then he'll probably come back here for the Stayers' Hurdle." It's not quite the same as in the Sprinter days, when he did his comeback, but it's not far off it. Wasn't he brave?